... By 1967 Elvis’ singles struggled to break the top 20, and he hadn't had a number one for six years. Yet by the end of 1968 he was artistically revitalized, re-emerging in a TV comeback special of December that year slimmed down for the now iconic black leather suit, playing country-soul influenced rock like he meant it and loved it. It was the pivotal moment of the second great period of Presley's career, which lasted through to the end of 1970, during which he recorded some of his most enduring records, including ‘Suspicious Minds’ and ‘In The Ghetto’. In ‘Return Of The King’ author Gillian Gaar shows how Presley reclaimed his crown, making an extraordinary transition from fading M-O-R balladeer to engaged, vital artist. With the recently celebrated 50th anniversary of the 1968 Comeback Special as well as the all-important 50th anniversary of Elvis' return to recording in Memphis in January 1969 it is the perfect time to revisit this fantastic book. EIN wanted to find out more of author Gillian Gaar's thoughts on Elvis' great legacy .. .. Piers Beagley asked the tricky questions..
Gillian Gaar’s book ‘Return of the King: Elvis Presley's Great Comeback’ was first published in 2010 and is one of my favourite books focusing on Elvis’ three key years 1968, 1969 and 1970 - it is a fascinating read. 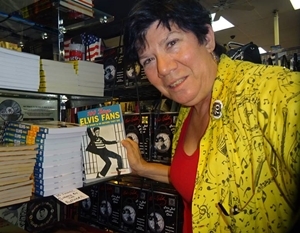 Author Gillian Gaar's writing style captures the fascination and excitement of Elvis' "return to splendour" and how it changed not only his interaction with fans but his style and his confidence as well. "How was I ?" he asked them. "Did you think it was good? Did you think it'll go over good? Do you think other people will like it, people that aren't fans? What was your favorite part? What didn't you like?" Elvis' stage wear also acquired a new look. Instead of two-piece suits Bill Belew began designing one-piece jumpsuits, which allowed Elvis to move about more freely... The jumpsuits also featured unusually high collars. "The high collar came about because I was a great fan at that period of Napoleon," explained Belew. "And it's what's called the Napoleonic collar. It worked for me, because it framed his face; I was always aware that your eye went to his face, because it was framed with the collar. I started to design his personal wardrobe as well. ... Hence Elvis frequently appeared as grandiose off stage as he did in performance, with outfits emphasizing his favorite colors. "Mostly, it was off-White, navy blue," says Belew. "He liked blue a lot." With the recently celebrated 50th anniversary of the 1968 Comeback Special as well as the all-important 50th anniversary of Elvis's return to recording in Memphis in January 1969 it is the perfect time to revisit this fantastic book. EIN and sat down to chat with author Gillian Gaar. EIN: Thanks for finding time to answer a few questions, it has been a while. Gillian Gaar: And it’s great to be here! EIN: Of all the books you have written about Elvis you consider ‘Return of The King’ as your most important work? GG: Yes, I’d definitely say so. It has the most original research in it. There’s no other book that looks at this period (1967-1970) in such depth. The book first published as Elvis Remembered was authorized by Elvis Presley Enterprises (it’s since been republished under different names). 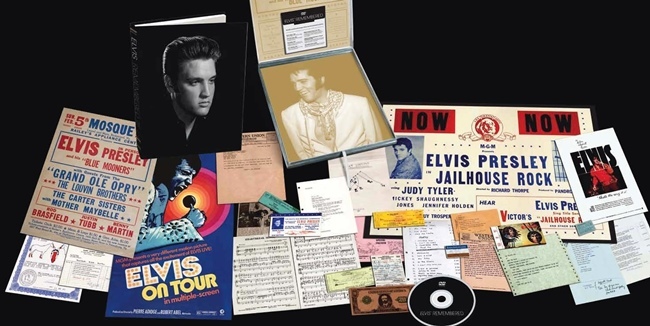 They wanted a new version of The Elvis Treasures, which also was a general overview of Elvis’ story and had facsimile memorabilia, but it had to be different from that book. My editor and I put together an outline that more thematic than Treasures, which basically told Elvis’ story chronologically. We had a few chapters like that, but there were also more “theme” chapters, about Elvis’ movies, Graceland, Elvis on TV, etc. And I made sure there was an Elvis in Hawaii chapter! (I love going to Hawaii). I had fun putting my own twist on things, highlighting songs that aren’t mentioned as much, like “That’s Someone You Never Forget” and “Tomorrow is a Long Time” (one of my very favourite Elvis songs). EIN: As a fan ages ago I was stunned by that first ‘Elvis Treasures’ and your 'Elvis Remembered ' was a brilliant upgrade. ‘Return of The King’ however must have needed some real research in comparison, how many people did you interview for the book and who provided the most interesting insights? GG: I spoke to 29 people. It’s hard to pick just one as “most interesting”; everyone seemed to have a great story. I liked the long interviews best. These were some long interviews from folks who worked on the special: Steve Binder, Bones Howe, Allan Blye, Chris Bearde, Bill Belew. On the studio side, Reggie Young was great, and Mike Leech, Bobby Emmons, Wayne Jackson; and Ronnie Tutt, Norbert Putnam, Jerry Carrigan. They all talked at length and had wonderful stories to share. 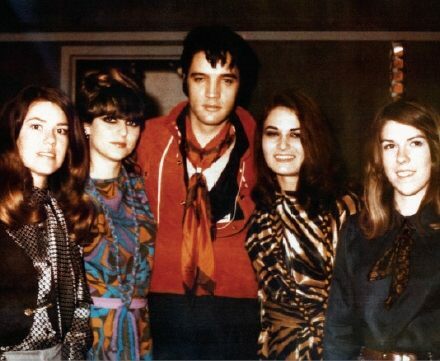 Working with Elvis was very memorable for them, especially on such notable projects (like the Comeback special). They’re not necessarily as well known as, say, Sam Phillips, so it was good to be able to talk with them. EIN: What the most exciting new piece of information that you uncovered? GG: Well, maybe Egil “Bud” Krogh, who took me step by step through the day Elvis met Nixon. I’d never read an account that went into such detail (even in Bud’s own book). 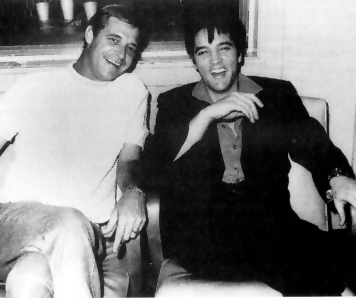 Bud said he was an Elvis fan, and if the request hadn’t been passed to him, Elvis might not have got in to see Nixon. “I was just enthralled with the idea of these two guys meeting each other,” he told me. It’s an incredible event, which I don’t think could happen today. Elvis just drove up to the gate and left a letter saying he’d like to meet the president. Today I’m sure there’s more security around there and he couldn’t have done that. And then to meet him just a few hours later. 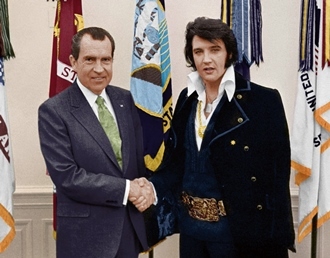 Of course, it was fortunate that Nixon had that “open hour” for impromptu visits, like Elvis’. But still, it’s a pretty amazing event. EIN: It is truly upsetting how many important people in the Elvis world have recently passed away. The timing of your research and interviews was obviously very fortuitous. GG: I know. I was looking through the names of my interviewees have died, most recently Reggie Young (I really wanted to interview him again). I know Mark Lewisohn, who’s doing a series of books on the Beatles, and I really felt for him when George Martin (producer) and Neil Aspinall (head of Apple Corp) died; so many stories they took with them. It’s why it’s important to talk to people while they’re still available. EIN: Did you get to see the 68 Special when it was shown in the cinemas last year, would did you think? GG: I saw it; it appeared to be the 2006 edit. Binder told me he thought it was “pretty close” to his original longer edit. In some ways I wonder if the longer edit is too much; if it dilutes the strength of the performances. Overall, I prefer the shorter one. Or is that because I’ve seen that one more, I wonder? There are so many edits out there, it gets confusing. I didn’t see the special when it first aired. The first time I saw it was in the mid-80s, when it aired on a syndicated channel (that is, not a major network), in an unusual edit, with the numbers in a different order (the gospel sequence came right before “If I Can Dream” for example). I am very glad all the complete live performances were eventually released. I recall there were earlier versions where some songs were cut out due to copyright reasons. GG: I was disappointed. I was actually interviewed for it, but I wasn’t used, so that was a disappointment to start with. I’d thought it would be a new, in depth look at Elvis, but to me it seemed like there was no interest in digging too deeply. As Elvis sank into the mire of the 60s films, for example, why didn’t he speak up? He surely must have complained to his friends, and I’d have thought there might be a comment from someone like “I asked Elvis why he didn’t just tell Parker he didn’t want to sign a new film contract and he told me such-and-such.” But there was nothing like that. For me, there was too much a sense of the voiceovers telling people how they’re “supposed” to think and feel about Elvis. Like when they were showing the Sinatra show performances and there’s a constant voiceover saying, “Look at what he’s doing here. Look at what he’s doing there.” Instead of just letting you experience the performance without being told how to react. EIN: It certainly was the last half of the documentary that let it down. 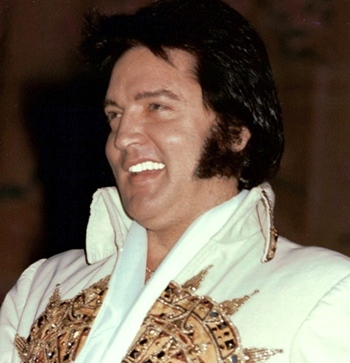 GG: It was as if they’d decided, “This is the Elvis we want to present,” choosing which perspective they wanted you to see Elvis from, instead of letting the story emerge from the details of Elvis’ own life. Then that’s reinforced during the documentary because a number of the interviewees were also producers: Priscilla Presley, Jerry Schilling, Ernst Jorgensen, and Jon Landau were all producers of the film. The film’s writer, Alan Light, is also an interviewee. John Jackson, who works for Sony (who administers Elvis’ label) is an interviewee. One might say that means they have a bias; this is the view we want to present, and we’re also the producers so we can make sure it comes out that way. Not sure why Jackson was even interviewed; why is it important to know what he thinks about Elvis? Or Jon Landau? I know they tapped Springsteen and Tom Petty because they’re musicians, but I would rather have kept the focus on people who knew Elvis. But, I did read comments online from people saying they enjoyed it. If you didn’t know anything about Elvis, it would serve as a good introduction. But I think This Is Elvis is more fun. A lot more live clips too. Though admittedly that’s not as key these days, since the complete shows (eg Ed Sullivan) have since been released on video/DVD. EIN: Steve Binder has been recently promoting his new book about the 68 Comeback, so to fans that maybe thinking of buying a copy of your book how would you say it compares? GG: Well, the point of Steve’s book was to relay his own experience of making the special. And mine has the perspective of others as well. And of course, there are more chapters in mine, looking at the American Sound sessions, the return to Vegas, and then 1970. So my book has a broader scope. I’d think they complement each other; you can read mine, and if you want more detail about what Steve thought, you can read his book. I have a copy of Steve’s book myself! EIN: Your book features 30 pages examining the American Studios Memphis sessions which you describe as, “Elvis's last recording sessions that confirmed he still had validity as a contemporary artist”. Do you feel that every subsequent recording session was a disappointment? GG: He certainly recorded good songs after that. But I don’t feel any subsequent session was, overall, as strong as the American sessions. I don’t think the quality of the songs was as strong. And I don’t know why they put out so many albums! Usually, it’s the best songs from a session that are released, and the others put aside. In Elvis’ case, it seemed like everything ended up getting released eventually. There’s one good album’s worth of material from those Stax sessions for example, and yet three albums ended up being released. I think that diluted the overall quality of the catalogue. EIN: Why do you think Elvis did not push himself towards another edgy and creative session such as the one with Chips Moman? GG: That’s an excellent question, and the kind of thing I would’ve liked to have seen explored in The Searcher! Both Steve Binder and Chips Moman stood up to the powers that be, insisting on doing things their own way. Elvis gladly went along with them, and delivered some of his best work as a result. But he couldn’t seem to make that first move himself. Why didn’t he say “I want to do another show with Steve,” or “I want to set up more sessions with Chips”? Why didn’t he stand up to Parker more? I’ve seen people theorizing about that one, but really, we just don’t know. He must’ve talked to people about it though. EIN: Felton Jarvis helped inspire Elvis at the How Great Thou Art sessions yet later on would add some dreadful, slushy overdubs to Elvis's original recordings. Was Jarvis purely a “Yes” man or a positive driving force? GG: He seemed to work well with Elvis at the beginning. But he didn’t seem to have much interest in being innovative, or in pushing Elvis. For example, at the American sessions, he didn’t want the musicians to say they didn’t like a particular song, and he didn’t want Chips to criticize Elvis’ singing and tell him he could do better. Of course Chips didn’t put up with that. And he knew how to work with musicians, and he could suggest things to Elvis in such a way that it didn’t sound disrespectful. He’d ask Elvis to record another vocal for a track and Elvis was fine with it. Then you look at the Elvis Country sessions. The musicians told me they felt rushed at times. They’d do a song and Felton and Elvis’ guys would say “Great job! That’s a hit!” when the musicians knew they could do better, and would’ve liked to have had another run through, or two, through a song. And later in the 70s, Elvis knew something was wrong with his records. Ronnie Tutt told me an interesting story about Elvis taking him upstairs at Graceland (this would be later in the ‘70s), and playing some contemporary record and asking, “Why don’t my records sound like that?” He knew his records didn’t sound as good as other records coming out at the same time, but I guess he just didn’t know how to ask for his to be changed. It was great to have a release like Down in the Jungle Room come out, to hear those songs without all those overdubs. Yes, I agree they smothered the songs. Then again, they did do well on the country charts, so maybe that was enough for management. Basically, I would say that Felton didn’t challenge Elvis the way Chips Moman did. EIN: Colonel Parker - good manager or just monetarily self-interested? GG: I think he was a better promoter than a manager. He certainly broke Elvis nationwide, in the 1950s. Whether that would’ve happened without him, we’ll never know; I think certainly Elvis would have become increasingly popular, but who knows in what fashion. But especially from the 1960s on, he seemed to focus more on short term goals than the big picture. Like signing Elvis to these long term contracts at the very time the studio system was breaking down. The movies made money, and sold soundtracks, and were easier to deal with logistically than a tour, so Elvis concentrated on movies. Never caring that Elvis was getting increasingly sick of making these movies (in some cases, getting literally sick). Now, the Beatles quickly got bored of making films and stopped doing them, even though they had a contract. They were waiting for the right property. Elvis wasn’t allowed to do that. It baffles me how Parker just had Elvis make the movies without making any demands, like script approval, etc. Elvis was a big star, and it certainly would have been accepted that he wanted script approval. Parker just didn’t seem to care, as long as the money was coming in. Of course in the entertainment business you want to make money. But it’s important for the artist to have some kind of artistic satisfaction as well. They’re not mutually exclusive; it’s just a matter of finding the right balance. Parker didn’t seem interested in doing that. EIN: Surely Elvis’ happiness and creativity should have been one of his main concerns? GG: Look at some of Elvis’ great artistic achievements, the ones I cover in my book, and I previously mentioned in this interview. The 68 special and American Sound sessions produced great work in spite of Parker, not because of him; both Steve Binder and Chips Moman had to fight against Parker (and I think that’s likely why Elvis didn’t work with them again). The return to live performance was at Elvis’ instigation, and he was the one that set the band up. 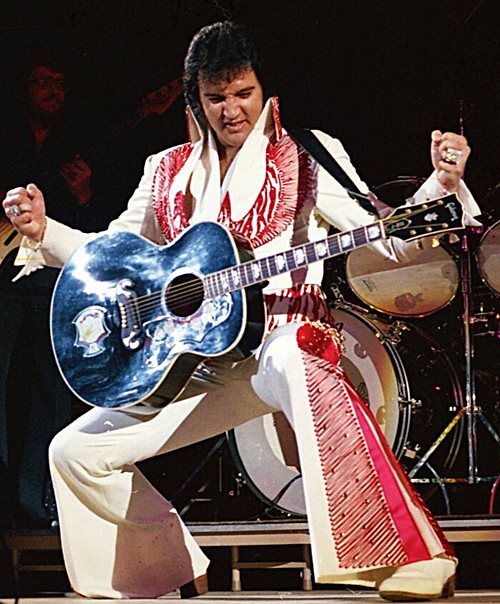 Elvis liked having a challenge, and that’s what I think was missing for him in the 70s, aside from events like the Hawaii show, where again, it was a challenge and Elvis worked to get in good shape for that show. And then selling off the publishing rights to Elvis’ catalog in 1973; again for short term gain. Now of course they couldn’t foresee the changes in the music industry; CDs, the internet, etc. But common sense should’ve told them that the songs from the 50s through the early 60s were Elvis’ most popular records, and those would be the ones people would be likely to continue buying in greatest hits collections. Not to mention the later late 60s/early 70s hits. So that was a really boneheaded decision. The rock industry changed a great deal from the 1950s to the 1970s. I don’t Parker kept up with the times, and in this way I think he very much hampered Elvis’ career, post-army. EIN: Surely leaving ‘Suspicious Minds’ off the From Elvis in Memphis album was a terrible decision? GG: Not necessarily. Back then a single didn’t always appear on an album, and this was certainly true of Elvis’ career (eg “Heartbreak Hotel” wasn’t on the Elvis Presley album). That was true of other artists too; The Beatles (aka The White Album) was released the previous fall (November 68) and had no single on it. But it definitely might have helped From Elvis in Memphis chart higher; it should’ve been in the Top 10 at least! I think it’s one of his best albums. EIN: The core of your book ends with Elvis' December 1970 visit to Richard Nixon. What on earth do you personally think of that impulsive idea and what did you think of the recent Kevin Spacey / Michael Shannon movie? GG: Well, I covered some of that already. On reflection, it seems that the visit to Nixon was not so much to meet the president as to get the coveted BNDD (Bureau of Narcotics and Dangerous Drugs) badge. Elvis was at the BNDD offices earlier, and had he got his badge there, would have gone to the meet the president? I wonder. It was a strange meeting, going off on odd tangents like Elvis saying the Beatles were “kind of anti-American.” Bud Krogh told me the comment startled both him and the President, as Elvis hadn’t mentioned anything about the Beatles in his advance letter he dropped off at the White House (and of course the Beatles were broken up by December 1970 anyway). And since nothing was arranged for Elvis to do after he got his badge, I suppose the whole thing was really just a photo op. But it was a very interesting one, and as I mentioned, I’m not sure something like that could happen today. Presidents since Nixon have certainly met and been photographed with stars, but it’s usually staged and not as impromptu as this meeting was. It would be interesting to know what Nixon thought about it; I wonder if anything’s written in any of the biographies about him. I was really disappointed with Elvis & Nixon. I thought it was boring. I hadn’t read good things about it, so I went to see it the week it was released as I didn’t think it was going to have a long run. Indeed, there was only handful of people in the theater, and by the next week it was gone. A friend gave me a VHS copy of Elvis Meets Nixon (1997) and I enjoyed that a lot more; it was more entertaining. EIN: EPE refuses to acknowledge Elvis’ work post Aloha. (Missing out Elvis' final years in The Searcher was ridiculous as those years are the years he probably searched the most). You have worked with EPE, what you think of their stance on these later years? GG: I have some sympathy because they’re in a tough position. An artist, or whoever is representing that artist (in this case, the estate), wants to present the best image possible. And post-73, post-Aloha, Elvis wasn’t always at his best. He didn’t always look good, and he didn’t always sound good. I think EPE prefers to avoid that period because otherwise they’d have to confront why didn’t always look good, or didn’t always sound good. And that’s evidently something they don’t want to talk about; remember, initially it was denied that Elvis even took drugs. 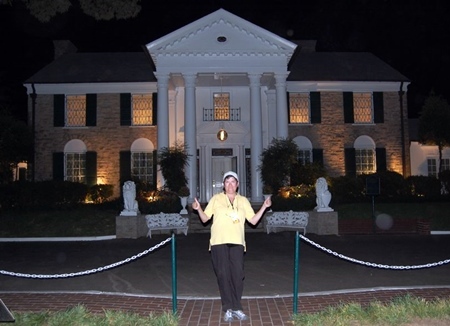 My first Elvis Week I went to, in 1997, I saw Patsy Andersen (then working @ EPE) speak at a fan forum saying fans would ask when things like Elvis in Concert might come out. She said the difficulty was if those kind of things were released, then the media and other critics would use it as an excuse to bash Elvis, criticize how he looked, etc. It’s a fair point. Except that Elvis is being criticized about that anyway, without those shows being released. So I figured they might as well go ahead and put them out. Especially as there were bootlegs readily available, the show on VHS and then DVD; I’d thought they might want to get that money the bootleggers were getting. EPE has loosened up somewhat since then. The Follow That Dream series deals with the fans, and there have been a lot of post-Aloha concerts released on FTD, into the 1977 shows. Those aren’t scrutinized by the media. And they did put out Down in the Jungle Room, as a broad public release (that is, not a fan-focused FTD release). But as far as I know, the Elvis in Concert album hasn’t been updated since it was first released on CD. No expanded editions, etc. They didn’t even put it in the recent Album Collection box. (I know they could say the album wasn’t released during Elvis’ lifetime, but that box has other songs that weren’t released on record during Elvis’ lifetime too). Nor has the TV show ever been released, in full. It would be nice to have a release that has the original TV edit, and the complete concerts they filmed. But that seems unlikely to happen at present. Though I could see it maybe being an FTD release, kind of quietly slipping it out there. EIN: A re-edit of Elvis in Concert would certainly help and Elvis still recorded some great music in his last few years. GG: It is silly the post-Aloha period is ignored by EPE. By this point, it’s not like people don’t know what happened to Elvis. And if they just want to focus on the good side, there are certainly positive things that happened during that period; good songs that were recorded, he increasingly made inroads into the country music charts, he remained a very popular live draw. 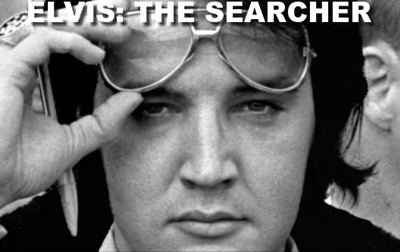 Ending The Searcher the way they did was abrupt; if you know little about Elvis, you’re going to wonder what happened. How does a man die at age 42 of a heart attack? You don’t have to dwell on the causes, but I felt some kind of explanation was needed, especially as the film seemed designed to appeal more to people who didn’t know a lot about Elvis. Maybe that attitude will change over time. I wonder if EPE takes note of bootleg releases like that “Final Curtain” box set, which I read about (but have never seen), that looked like quite an elaborate package. That showed there’s clearly interest in the period. Maybe as each new anniversary comes up. There’s apparently nothing new they can put out from the 68 special, for example. Or the Aloha concert. But I would think there’s a lot you could work with from the final touring years. 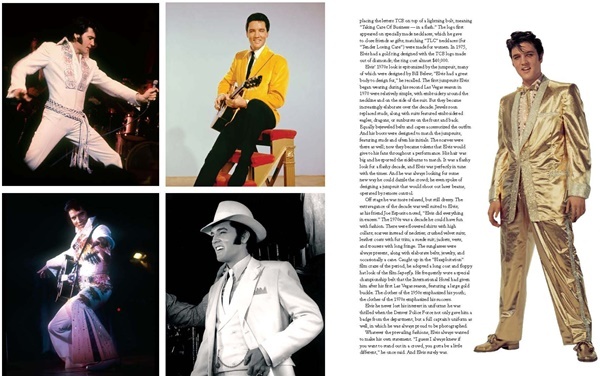 EIN: In the book you write that, “Elvis's skills as an entertainer had never left him. They just hadn't been given a suitable vehicle for expression.” Do you think touring overseas or perhaps a more challenging movie career could have been the answer? GG: Yes, to both. Really, I don’t think he should’ve stopped touring in the first place; he certainly could’ve toured and found the time to make movies in the 60s as he did in the 50s. But that didn’t happen. Now, the 1969 Vegas season went well, and then in 1970 he began touring again outside of Vegas. That would’ve been the perfect time to launch an overseas tour; do a wider US tour in 71, followed by his first ever European tour. That would’ve created so much excitement! And there were so many other places to go. Can you imagine an Australian tour? And rock acts go to South America regularly now, but they didn’t in the 70s, and Elvis could’ve pioneered that. And Japan. Lots of possibilities. And Elvis liked going forward and doing new things. Would’ve been really rejuvenating for him. Maybe movies could’ve fit into that, but you know, there aren’t that many big rock stars who were also able to have a successful movie career. David Bowie might be the closest. But ultimately he focused more on music than films. Kris Kristofferson’s another example, though he wasn’t as big a star as Elvis or Bowie. Madonna’s film career was pretty mixed, and she did some clunkers (Swept Away). Still, if he’d approached it with more selectiveness, I think he could’ve had a good film career. Imagine him making a Western with Kristofferson! EIN: Tony Joe White (RIP) blamed Col Parker and Elvis's publishers for the fact that he and other composers could not get good quality material to Elvis, even in the later years. Who do you think is to blame? GG: Well, first, obviously it was Parker and the music publishers that were to blame because they set up the deal in the first place. The same thing hampered Patsy Cline’s career. She was signed to a deal where she could only record songs from one particular publishing company. She was stuck with that deal until it expired. By then she had a new manager, and a new record label. And now she could record the songs she wanted to, not the songs she had to — and then she started having hits. I can see why Elvis went along with the deal to begin with. Business wasn’t his forte, you leave that kind of thing to your manager. Plus, he likely wasn’t given any choice about it, just told that that was the way things were going to be. But in the 60s, as his sales and chart placings began to slide, he could’ve shouldered some of the responsibility. We know he didn’t like a lot of the songs he had to record, especially the movie songs. And we know he listened to lots of music, all the time, all kinds of different artists, so he knew what was going on in rock, that there were great songs and great songwriters to work with. He could’ve insisted that things change, so he would get better material. Maybe, like Patsy Cline, he would’ve had to wait for the current publishing contracts to expire, but when that point came, changes could’ve been made. So, Parker/the publishing companies are certainly to blame. But Elvis has to take some of the blame too. 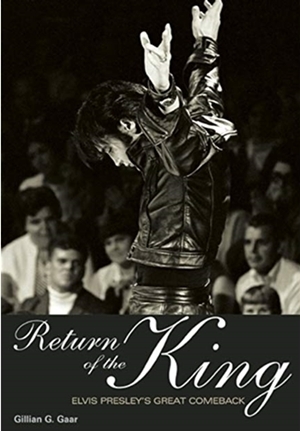 EIN: You called the book ‘Return of The King: Elvis Presley's Great Comeback”. A lot of American pop musicians never managed to “come back” after their military service. 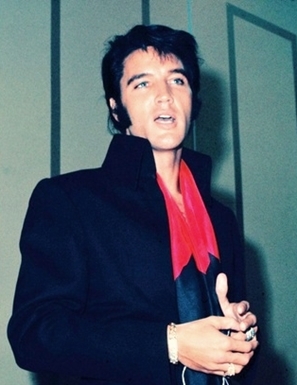 How would you compare Elvis' 1960 comeback to his return to splendour in 1968-69? GG: Well, the post-army comeback got off to a good start. Hit singles and records, and a hit movie, though I wish Elvis is Back! had done better than GI Blues. It all re-established Elvis as a big star. But he wasn’t regarded as an innovator anymore, like in the 50s. In a sense, I guess you could say he became part of the establishment. I can see why, when the more serious Wild in the Country and Flaming Star didn’t make as much money, and Blue Hawaii was huge, the focus for Elvis would shift to light comedies. But he was capable of doing so much more than just that, and that’s where I think his career took a wrong turn. He’d been a great performer, but now he’d been turned into a sitcom star. And then the rock world went through great changes; the arrival of the Beatles, the Rolling Stones, and Bob Dylan changed things completely. 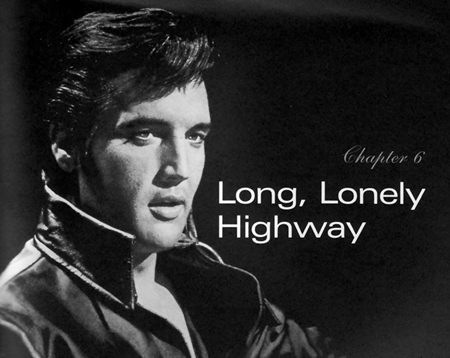 And because most of the songs Elvis recorded were soundtrack songs, he was increasingly left behind. This is what made his second comeback so dramatic. As Steve Binder told Elvis when they met, he’d become irrelevant to many in the music world. The special and then the American sessions re-established his relevance as a creative artist. In that sense, I think it was his most important work since the 50s. And that first live season in Vegas got tremendous reviews. So I think it was a more dynamic period than the post-army comeback. 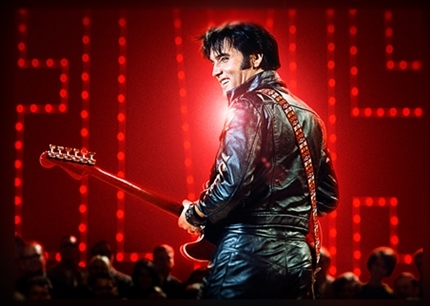 Personally, I prefer the later comeback to the post-army one because I like the songs more, and of course the Comeback special is one of the best things Elvis ever did. 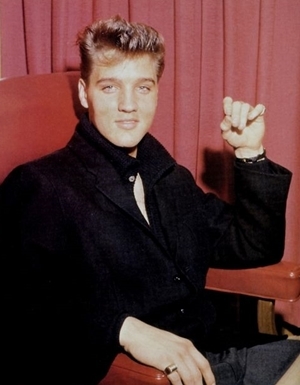 I overlooked that period myself for a long time, being mostly interested in Elvis’ 50s years. And it’s such a rich time in Elvis’ career; I’m glad I was able to focus on it in an entire book. EIN: Thanks for the fascinating discussion. It truly is incredible that that there is always so much fans can debate and learn about Elvis so many years after his untimely death. Is your book being republished for this 50th anniversary or can fans still purchaser it at the usual outlets? GG: It’s not being republished. But it certainly is still available! And fans might like to know that I have a facebook fan page for the book. (Click here to Facebook Page) If you have questions about it, or any of my Elvis books, feel free to drop by and post about it. (Book Review) 100 Things Elvis Fans Should Know & Do Before They Die: Noted Elvis author Gillian G. Gaar has released her new Elvis book for 2014. Whether you are an avid Elvis reader or casual fan there is 'something for everybody' jam packed into what is a cleverly written, multi-level release - a compendium of trivia and facts which also act as an Elvis biography. Gillian G. Gaar talks to EIN! : in 2014, Gillian G. Gaar celebrated rock history aficionado and rock music author opened up to EIN in a fascinating 6,000 word discussion covering a range of eclectic subjects. 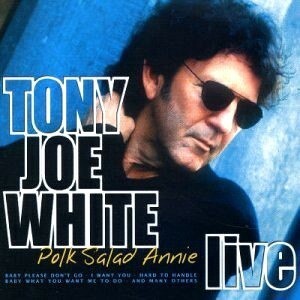 Tony Joe White chews the fat with EIN: Tony Joe White first hit the charts in 1969 with his Top Ten smash ‘Polk Salad Annie’. This introduced the world to his own style of Louisiana ‘swamp music’. 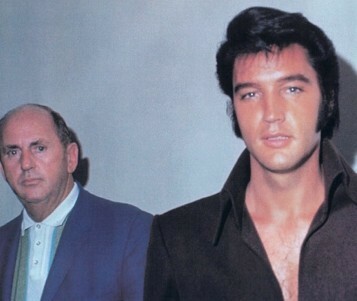 Three of Tony Joe’s classic songs were recorded by Elvis, while over a hundred artists have covered his unforgettable ‘Rainy Night in Georgia’. His brilliant performances sure are funky and feature songs populated with fascinating characters. While, at the same time, his guitar and ‘whomper stomper’ help lay down a fine swampy groove. As Elvis would say, “Some of you never been down south too much”! EIN's Piers Beagley tracked down the elusive Tony Joe White while he was in Sydney during 2003 and discovered some fascinating facts about his relationship with Elvis.